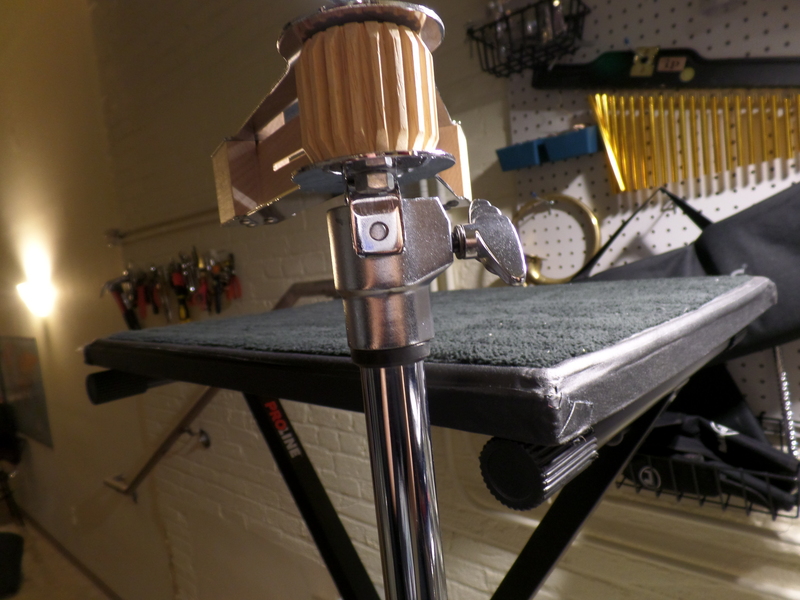 The addition of flexatone, vibraslap, guiro, or ratchet to a multi-percussion setup can throw a wrench in the proceedings. Mounting the instruments for easy access with hardware widely available in the US is difficult, and navigating the techniques required for each instrument can make for some awkward choreography. I recently performed Cells by Hanspeter Kyburz. 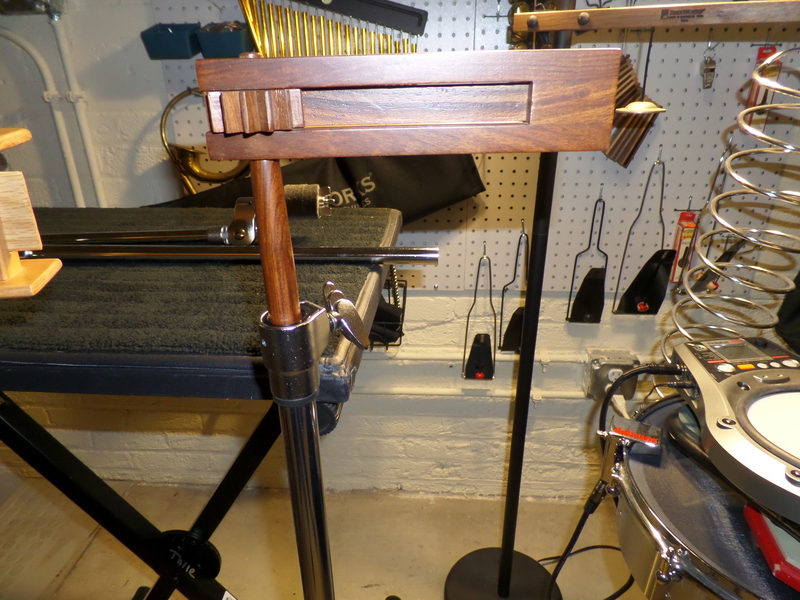 In addition to tons of hard notes on keyboard instruments, Kyburz threw in the odd vibraslap, bowed flexatone, or guiro scrape, often with less than a second to get from one instrument to the next. Here are some solutions I came up with for that performance. 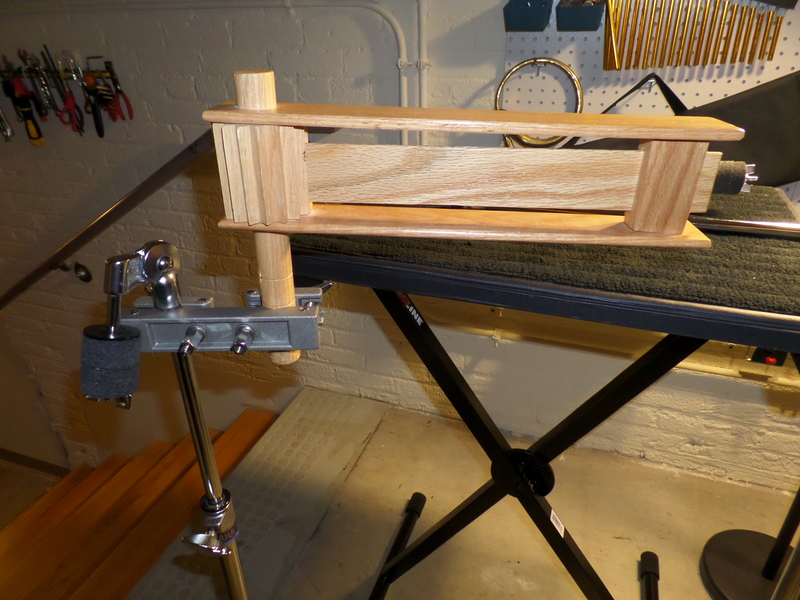 It is about three feet in length so playing a long, loud note is easy, and it is simple to mount on a stand. 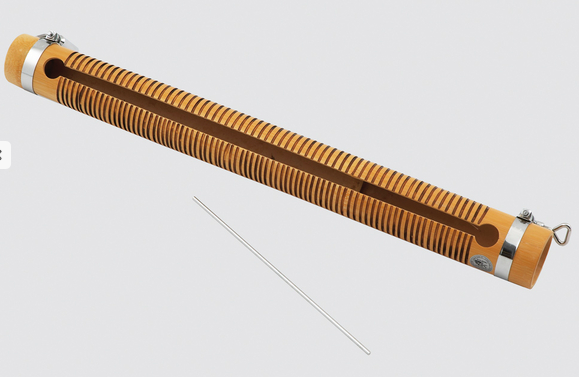 The grooved portion is less than a foot long, so playing anything loud that isn’t staccatissimo is difficult, and your mounting options are limited. 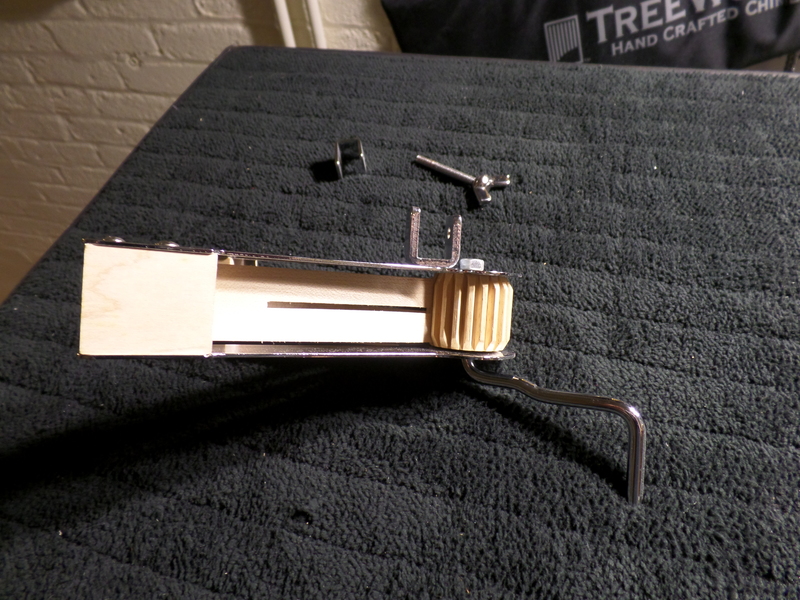 Without access to an extra-long Kolberg, my preferred guiro set up is a Meinl wood guiro with a Meinl guiro holder. Pearl also makes a guiro holder but it should be avoided. I like the Meinl wood guiro because it is quite durable compared to a traditional gourd guiro. You can throw it in a trap bag and not worry about it being crushed. There aren’t a lot of flexatones on the market. The LP models are ubiquitous, but I prefer this Dobani model that I found on Amazon. 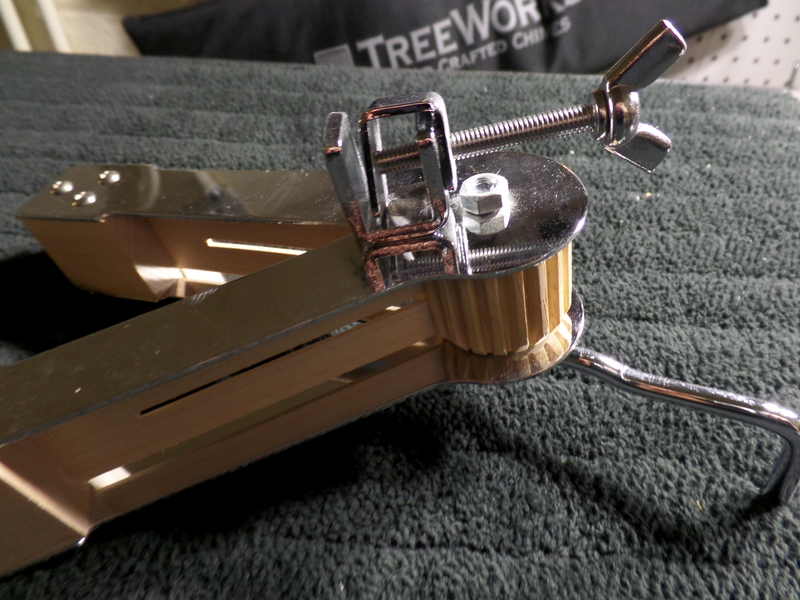 The resting position of the beaters on an LP is right up against the metal, so it is difficult to pick it up and put it down without making a ton of noise. 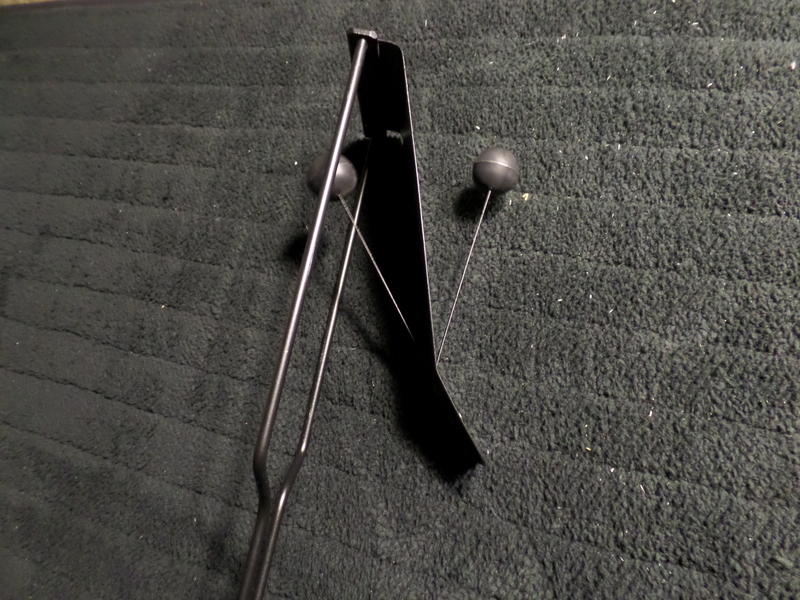 People often solve this problem either by putting moleskin on the beaters to soften them, or for bowing purposes, by rubber-banding the beaters to the metal. Fuss with that if you want, or just get a better (and cheaper) flexatone. On the Dobani model, the beaters are further away from the metal, so you can pick it up and put it down silently. 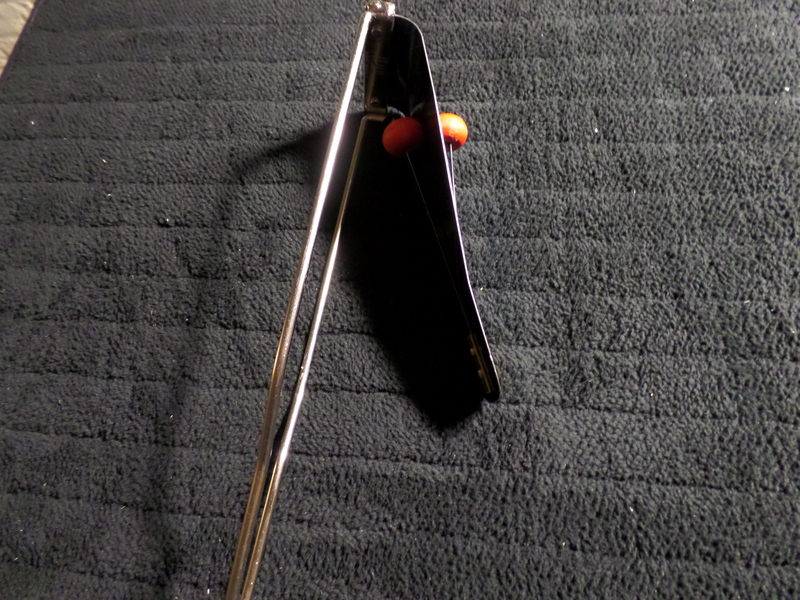 It is also possible to do bowed glisses without interference from the beaters. The size and range of the Dobani is similar to the smaller of the two LP models. 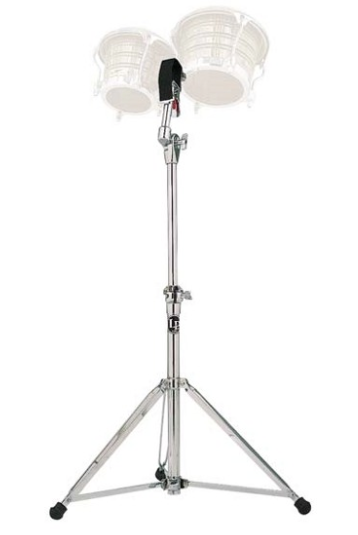 That is a Meinl product designed for mounting cowbells and the like to conga, bongo, and djembe lugs, because I guess that is something people need to do? It works perfectly as a vibraslap mount. They should really market it as such. This doesn’t have anything to do with the aforementioned Kyburz piece, but could prove to be useful information if you are ever playing Chaya Czernowin’s Sahaf or another piece where you need quick access to a ratchet. 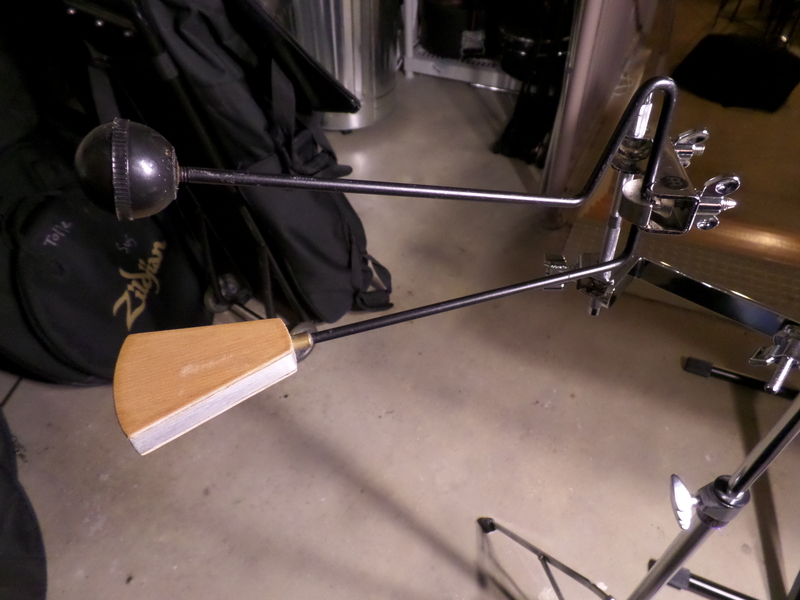 “Whirlybird” style ratchets can be easily mounted to a cymbal stand or clamp. 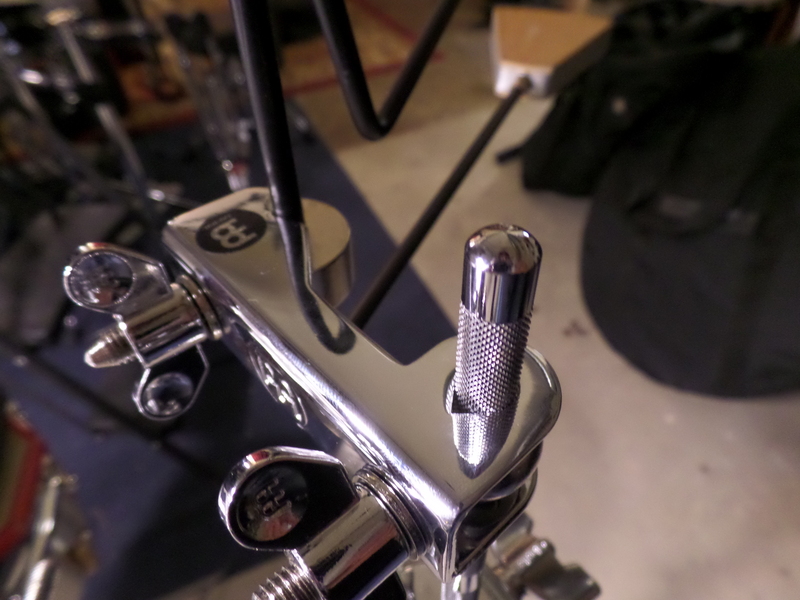 The common CB ratchet can be attached to a cymbal stand by adjusting the clamp that is supposed to attach it to a music stand (which never works). This entry was posted in Contemporary Music, Percussion and tagged flexatone, guiro, Percussion, ratchet, vibraslap on October 14, 2014 by tolleism. thank you so much for this. i just stumbled open this blog looking for rack mounting solutions and never have found so much useful tips. may i ask if you can help with a mark tree damper? Very interesting! I forwarded your site to our percussion section leader.